This list of Microwallet faucets are special?because Microwallet utilizes?a unique singular bitcoin address to track your funds and deposits your earnings into you bitcoin wallet every 2-3 days. By utilizing these Microwallet faucets, you are advised to?use the same bitcoin address for all faucets?as the bitcoin address you use defines your account balance. 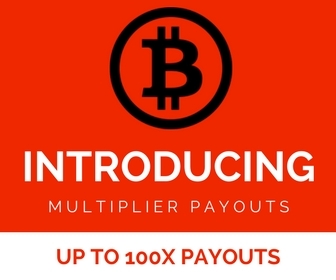 By using the same bitcoin address on all listed faucets, you ensure that you can earn the minimum?0.00005825 BTC required for a withdrawal in a matter of minutes. Every bitcoin address represents a separate account, and therefore you should use one address for your account. By utilizing Microwallet, you ensure accurate and reputable payouts with higher payout rates than faucets that do not use Microwallet.